Enjoy the very best of this coveted neighborhood and get swept away by this charming historic home in the heart of Bucktown! The fantastic open floorplan is flooded with natural light ~ vintage details blend handsomely with unique one of kind finishes and impeccable attention to detail. Simply put, the gorgeous space delivers the kind of flexible, expansive space today's discerning buyers crave. The showcase kitchen functions beautifully, whether serving as daily ground zero for busy family life or the perfect spot for impromptu cocktails and dance party! The 4 bedrooms, all on the same floor, are all flooded with light and anchored by the spacious retreat-like master suite. Tons and tons of storage, a 2nd floor laundry facility and a 2 car attached garage keep life simple! 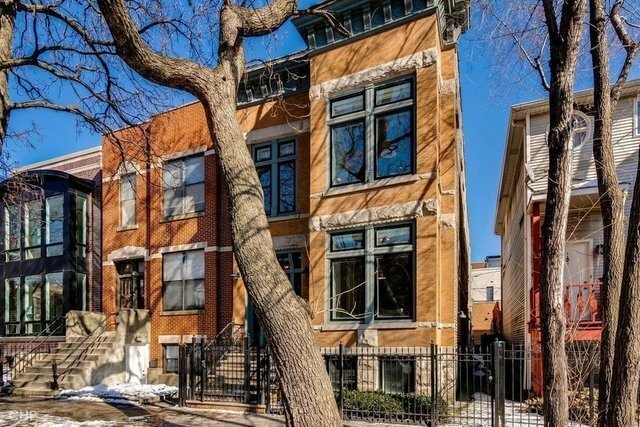 1839 Leavitt is half a block to the 606, 3 blocks to Pulaski School, and 3 parks within 2 blocks and amidst Bucktown's hottest restaurants & shops. Transportation options: bus, train, Metra and highway close.